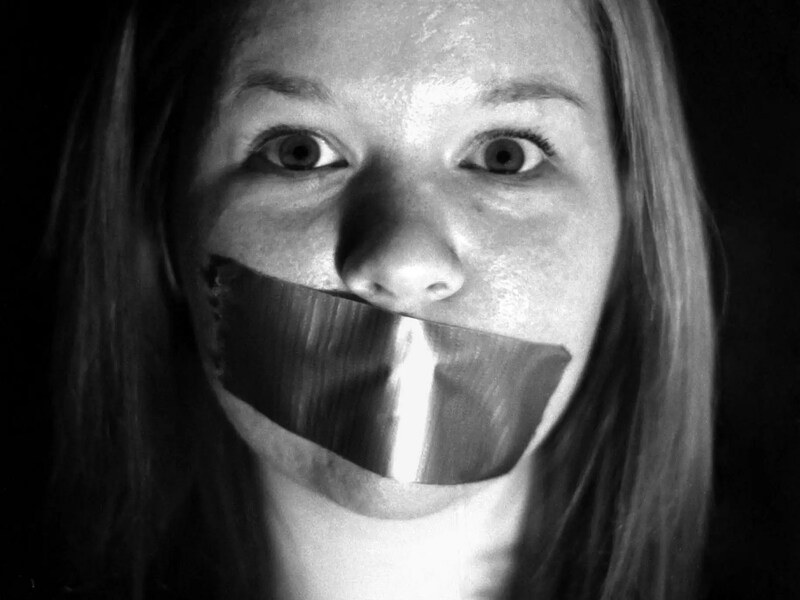 Some languages, like French, have an official body that decides how words can and cannot be used. English, as a flexible, global language, has no such designated referee. It’s all a matter of taste and context. But there are opinions. And some count more than others. Steven Pinker is probably as good an expert to ask as anyone. Helpfully, the renowned Harvard linguist and best-selling authorrecently wrote a book, titled “The Sense of Style,” that aims to help readers improve their use of the English language. If you’re in the market for an update to , old Strunk and White, it’s probably a good buy. But if you just want to spot-check that you’ve not been making embarrassing language mistakes for years, a monster list of 58 commonly misused phrases covered in the book that recently appeared in the UK’s Independent newspaper is probably a good place to start. It should be noted that while it’s always good to polish up your writing, one of the joys of language is that it isn’t fixed in time. It evolves. Nor is there a single “correct” style (in English, at least). You’d neither connect nor impress if you chose your words like an Oxford don at a rap battle (though, actually, someone please make that YouTube video), and you’d be unlikely to get a job at an investment bank today speaking like Shakespeare. Why is this important? It’s easy to get too caught up in being perfectly “correct” and become a tedious language snob. Remember you probably want to come across as intelligent and thoughtful, not uptight and pedantic. 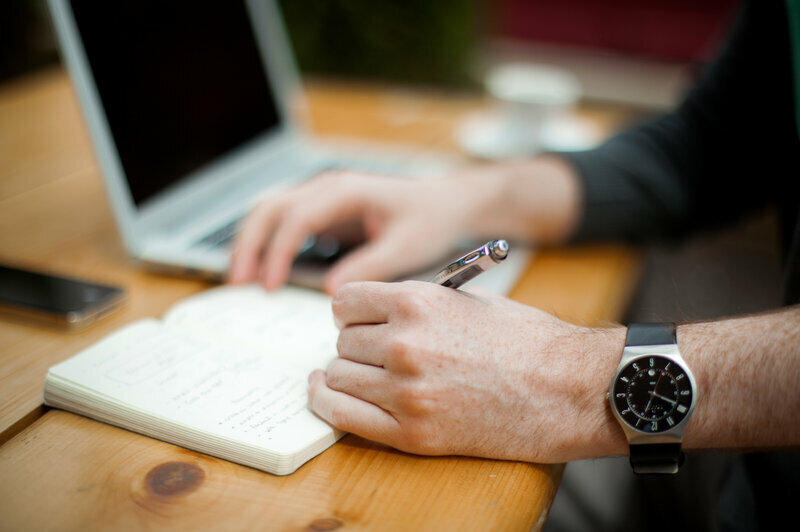 So don’t get so worked up over the little things that you miss the larger point of good writing — to communicate clearly and engagingly with your chosen audience. Katie Tegtmeyer/Flickr“Reticent” just means shy. It doesn’t mean reluctant. They’re just words, aren’t they? Why shouldn’t they take on new meanings as people start to use them incorrectly? Indeed, “silly” once mean “blessed” and then “pious.” There’s a certain justice in where it’s ended up. Fundamentalists won’t have it, though. They insist on specific interpretations only. Ergo, because you’re likely more righteous than I am and still want to climb some virtual, figurative ladder, here are 18 words and 1 phrase (consisting of three words) that don’t mean what many people think they do. I worry when books claim to offer a “Thinking Person’s Guide.” It’s so ineffably elitist. It suggests that some people don’t think, that they function like underintelligent organisms. So he’s not a complete meanie. You, as a thinking person, must become frustrated every time you hear someone say they have “appraised the board of the current situation.” This literally means they have “valued the board of the current situation.” Which makes as much sense as most of what is usually said in board meetings. You apprise the board of something. Your pawnbroker appraises a necklace you picked up in a parking lot. You know what this doesn’t mean? It doesn’t mean “raises the question.” It simply means “assuming what it should be proving.” For example, when you ask the nice tight-suited man at your local Gucci store, why you should pay more for Gucci products and he says you’ll be getting “Gucci quality,” that just begs the question. It sounds almost the same as “amused,” so some people believe that “bemused” is, perhaps, a squeezing of “being amused.” Or maybe a stronger level of amusement. It isn’t. It’s just the state of being bewildered. Americans aren’t too good with French words at the best of times. Just ask them to pronounce — or spell, for that matter — “chaise-longue.” Clich is just a noun. It isn’t an adjective. It’s not risqu. It should be pass. I’m (not) sure you’re not one of these people, but some believe that this means the same as “uninterested.” Because discombobulated is the same as uncombobulated, I suppose. Save it. It only means fair and balanced like Fox News. You might be enormously disturbed by this one. Enormity does not mean “extreme bigness.” It’s true, says Pinker, that some writers insist that enormity can mean “extremely big evil.” But enormity is always evil, alright? It’s not necessarily big. I’ve made this mistake before. I think I’m going to make it again, just for snits and giggles. Enervate does not mean, has never meant, “getting on nerves” nor “to charge you up.” It actually means to sap or weaken. Let’s face it, though, the word is just too energetic to mean that. “Flounder” and “Founder” are often used interchangeably, unless you’re talking fish or Silicon Valley. The truth is that that floundering simply means to flap about without any useful consequences. It doesn’t mean “sink to the bottom.” Although, I suppose you could flap around without any consequences until you sink to the bottom. You hone in on things, I feel sure of it. At least, you’ve done it once or twice. Which would, in fact, suggest you’ve sharpened in on something. I get what you mean. A fundamentalist would not be happy, however. Please make sure you merely home in on things in the future. This word doesn’t exist. However, if you’ve invented it, I secretly admire you. For your courage, if not for creating a word that is, um, over-superfluous. There “irrespective” and there’s “regardless.” You may choose from those. This is one of those tricky words that seems to be about merit. In a way, it is. It lies somewhere along the axis of sleazy to tawdry. It means nauseatingly insincere. Which means it cannot mean “deserving of reward or praise.” Unless, of course, you liked praising the sleazy. This word is all about taking. It is not about creating. It means taking an opportunity or capitalizing upon it. It does not mean “creating or promoting opportunities.” So when a politician champions economic opportunism, he’s talking nonsense. But you already knew politicians talked nonsense, right? Except for Donald Trump. He’s just opportunistic. You love setting parameters, don’t you? You’ve been in meetings where parameters were set and even drawn. But parameters aren’t borders or limits. They’re merely variables. I know it feels like a downgrade for the word. But look what the Catholic Church did to St. Christopher. This just means shy. It doesn’t mean reluctant. Yes, shy people can be reluctant to do things. On the other hand, they could be reluctant just to do things with you. In fact, though they’re shy, they could be the most daring people of all. Roads can be tortuous, therefore twisty. They can’t be painful. If they were, they’d be torturous. They wouldn’t be tortuous. Is that logic too tortuous for you? In which case, this section must be torturous for you. I know you come from New Jersey and think that Bruce Springsteen is your finest urban legend. He isn’t. He’s real. Urban legends are lovely stories told by drunken people playing poker. Stories that are entirely false. Bruce Springsteen is real. I’ve seen him in concert. Chris Christie has written him fan mail. Chris Christie is also real. A new school of globalisation studies based on micro-views, rather than macro ones, is yielding beguiling pictures of prosaic subjects. Pietra Rivoli explored wonderfully the global life of a simple product in “The Travels of a T-Shirt in the Global Economy“. Marc Levinson took on the story of the container in “The Box: How the Shipping Container Made the World Smaller and the World Economy Bigger“. Tom Standage of The Economist produced “A History of the World in Six Glasses“, with drinks at its centre. Gary Hustwit, a producer of documentaries and a former executive at Salon, has made his first foray into directing by a similar route–picking a narrow subject area and using it to illustrate broader truths. The narrow focus of his efforts is the typeface, Helvetica, from which his film takes its name. The broader subject of “Helvetica” is the globalisation of visual culture. Today Helvetica the typeface is everywhere: metro signs, airline logos, street ads, T-shirts, office software. “Helvetica” the film is doing pretty well too. Having premiered at the South by Southwest festival in Austin, it is on course to become one of the year’s top-grossing independent documentaries. “Helvetica” is built around conversations between Hustwit and prominent figures in the world of type design: Erik Spiekermann, Matthew Carter, Massimo Vignelli, Wim Crouwel, Hermann Zapf, Neville Brody, Stefan Sagmeister, Michael Bierut, David Carson, Paula Scher, Jonathan Hoefler, and many others. These conversations take Hustwit beyond the world of visual culture into many tangential areas. “Helvetica” ties together psychology and advertising, marketing and anthropology, cultural and urban studies. Hustwit’s film marks the year of Helvetica’s 50th anniversary (MOMA has aHelvetica-dedicated exhibition for the occasion). Who could have thought that when Max Miedenger, a relatively unknown Swiss designer, created Helvetica in 1957 using Akzidenz Grotesk as a model, this would become the typeface of record for corporations and governments? In the next few years Helvetica (known first as Neue Haas Grotesk) was used primarily by a coterie of Swiss designers and their clients. By the 1960s it had acquired its new name (a play on the Latin name for Switzerland, Helvetia) and attracted admirers by virtue of its clean, no-nonsense look. Hustwit finds that Helvetica has its haters as well as its fans. Its use by governments and corporations has turned it into a target for conspiracy theorists holding it to account for all the pro-establishment messages it has carried. Paula Scher, a New York graphic designer and artist interviewed for the film, recalls how, back in the 1960s, Helvetica became a symbol of the Vietnam War, because official communication relied so heavily on the type. One of the more plusible adjectives for describing Helvetica to a stranger would be “neutral”. If type is really the perfume of the city–a conceit of the film–then Helvetica has a scent that doesn’t smell. In this respect, “Helvetica” touches upon Foucaultian themes of control and power–threads that may acquire a new life in the subtle context of type design, particularly in the urban environment. Helvetica’s ubiquity on official documents and signs has come to embody a certain sense of stability and confidence in tomorrow. Planes won’t crash, houses won’t be robbed, nothing bad will happen: these are the indirect messages sent out by Helvetica type in the streets or in the office. Hustwit’s film insists on the ethical responsibilities of designers towards society at large. The decisions they make may incline the people around them to be more complicit or more rebellious, to strive for more diversity or for more neutrality and homogeneity. A typical Western consumer sees more than 3,000 corporate messages per day. But “Helvetica” is not only about the history and culture of a typeface; it’s also a film about their future. Perhaps the most important non-Helvetica issue addressed in the movie is what kind of impact technology and the Internet will have on the industry. The trade of type design is not immune to the invasion by amateurs, and, as in almost any other industry, the professionals disagree whether this is a good or a bad thing. As some of the designers interviewed in “Helvetica” acknowledge, there has hardly been time in human history where young designers had more creative ideas and cheap technology available to them. The MySpace generation has grown up editing the graphics and the type in online user profiles. It may yet exhibit a totally different set of attitudes to the cultural monopoly of the Helvetica type. On a pure visual level, “Helvetica” is a treat as well. It’s not one of those documentaries where you need a day’s supply of coffee to stay awake through a 90-minute stream of dense punditry. Nor is it another “Sicko”: you will not find provocative or shocking scenes. Instead Hustwit treats the audience to an eclectic mix of urban shots and interviews and spiced with charming music. “Helvetica” is what metrosexuals watch to get educated. If a documentary can count as “glossy”, then “Helvetica” is coated to perfection. Paper can make the abstract tangible in a way that digital devices don’t. I confess. I’m a notebook nut. I own dozens and dozens of them. Everything from cheap reporter’s notebooks to hand-crafted Italian leather beauties. I wondered: Am I an analog dinosaur, or are there others out there like me? The first stop in my investigation was, frankly, discouraging. At first glance, a Starbucks on the campus of George Washington University points to the dinosaur conclusion. So plentiful are the laptops and tablets that they outnumber the double-mocha-half-caf-triple-shot-Frappuccinos. But when I look more closely, I spot plenty of paper here as well. “The stuff that really matters goes onto the paper,” he says. Not just any paper. He uses a small black notebook with an elastic band and a storied past. Picasso and Hemingway used an early version of the Moleskine, and now you can too. The Italian company that makes Moleskines — all 500 versions — is red hot, consistently recording double digit sales growth. 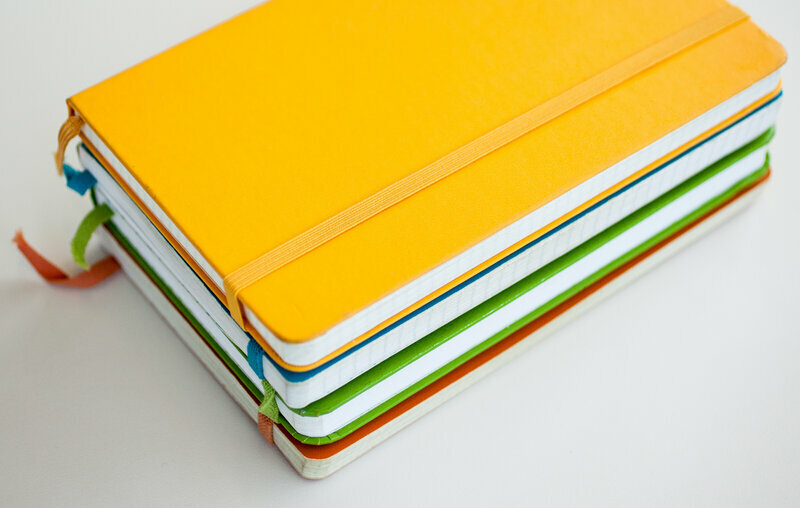 Moleskine notebooks have grown in popularity. 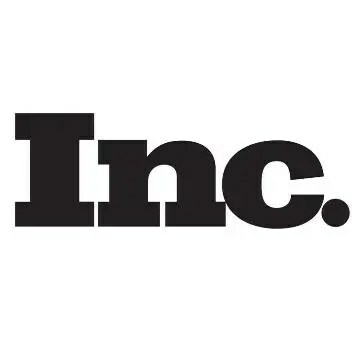 Oddly enough, the analog company’s success has grown in tandem with the digital revolution. In fact, when conducting market research, the company detected something even more perplexing: a direct correlation between sales of its little black notebooks and proximity to an Apple store. Yes, he says, we live in an increasingly digital world, but we “still have a need for physical experience, for emotional experiences that digital devices and technology” don’t always provide. Besides, he adds, for so-called digital natives, iPhones and other high-tech gadgets are commonplace. Paper is the curiosity. Consider the case of Angelia Trinidad, recent college graduate and self-proclaimed gadget freak. Not that long ago, she found herself adrift, professionally and emotionally, so she sought out a planner, a paper planner. None felt quite right so she designed her own. Smelling a business opportunity, she launched a Kickstarter campaign. She was aiming for $10,000. She raised more than half a million. “We went viral for a whole week, and it was insane,” she says. Friends urged her to launch a digital version of her planner, but she resisted. She has nothing against apps — her smart phone is chockablock with them — but she finds paper more intimate. Paper, Trinidad says, makes the abstract tangible, in a way that digital devices don’t. I know what she means. As a writer, no work feels complete until I hit the print button and it’s on paper. Maybe, though, Angelia and I are both dinosaurs, albeit from different generations. But some recent research suggests otherwise. Pam Mueller was a teaching assistant for an introductory psychology class at UCLA. One day, she forgot to bring her laptop to class. She mentioned this to her professor, Daniel Oppenheimer. It turns out that he had asimilar experience in a faculty meeting. He was dutifully taking notes on his laptop but realized he had no idea what people were saying. Oppenheimer and Mueller wondered if there was something about paper and the act of writing that explained this phenomenon, so they conducted an experiment. They asked about 50 students to attend a lecture. Half took notes on laptops and half with pen and paper. Both groups were then given a comprehension test. It wasn’t even close. The students who used paperscored significantly higher than those who used laptops. “Desirable difficulty is some small roadblock that is in your path that actually improves your understanding of a topic,” she explains. This is, admittedly, a hard sell on college campuses, she concedes. Mueller, though, has taken her research findings to heart. Whenever she needs to truly grasp a subject, she ditches the laptop and takes notes with old-fashioned pen and paper. 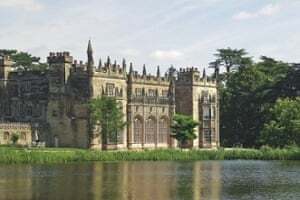 George Eliot: Arbury Hall, WarwickshireBorn Mary Ann Evans, George Eliot grew up close to Arbury Hall, where her father was employed as land agent. It provided her with a rich seam of material which she exploited in three Warwickshire stories, Scenes of Clerical Life. Later novels also drew on life at Arbury. Eliot was intrigued by the history of the house and its Gothic remodelling, which took more than 50 years to complete. As a child, she would accompany her father to the hall, where she had free run of the rooms and browsed in the library. 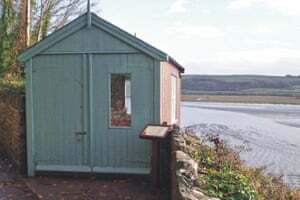 Dylan Thomas: The Boat House, CarmarthenshireThomas moved to the Boat House at Laugharne, 40 miles west of Swansea, in 1949. It was the house of which the poet and his wife always dreamed. The view from his writing shed – a ‘water and tree room on the cliff’ – inspired many of his poems. Here he would observe the eternal cycle of the tide and the variable, often dramatic, weather conditions of the estuary. Visitors find the cluttered study strewn with books, cigarette packets and discarded notes, just as it was when Thomas was working. 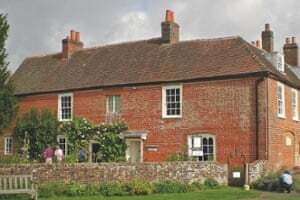 Jane Austen: Chawton House, HampshireChawton was the family home of Jane Austen in the early part of the 19th century. Today, the house is a museum, retaining the air and atmosphere of a modest country home. While at Chawton, Jane prepared breakfast in the dining room every day at about 9am. She worked at a three-legged table in the parlour, which is where she made revisions to Sense and Sensibility and Pride and Prejudice before publication. Sometimes she would be struck by a thought or an idea and would rush from the room to her writing desk. 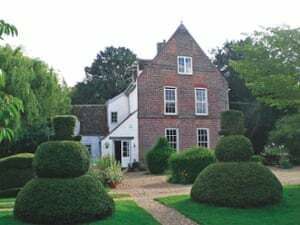 One day, while in the garden at Great Maytham Hall, Frances Hodgson Burnett was distracted by a solitary robin, leading her to discover a door concealed by ivy in one of the mellow brick walls. On the other side lay an overgrown 18th-century garden, which she transformed. Hodgson Burnett’s stroke of good fortune inspired her most enduring work, The Secret Garden, which was published in 1911. Agatha Christie: Greenway, DevonOverlooking a glorious sweep of the River Dart in Devon, Greenway once belonged to Agatha Christie. 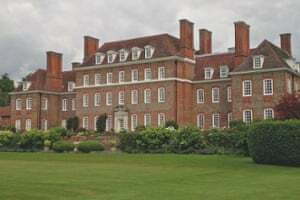 The Grade II-listed Georgian house makes an appearance in several of her novels and was the setting for one of Christie’s pre-publication rituals. The Queen of Crime would read a chapter from her new whodunnit to her family and ask if they could unmask the killer. Often, Christie’s husband, Max Mallowan, would wake from his evening slumber and correctly identify the murderer. John Keats: Keats house, LondonKeats rented Wentworth Place (now known as Keats House) in Hampstead, for £5 a month (about £250 today), plus half the liquor bill. His life changed immeasurably in 1819 when Mrs Brawne, a widow, and her three children moved in next door. Eighteen-year-old Fanny captured the poet’s heart from the moment he met her. The parlour now holds bookcases filled with publications known to have been in Keats’s library. 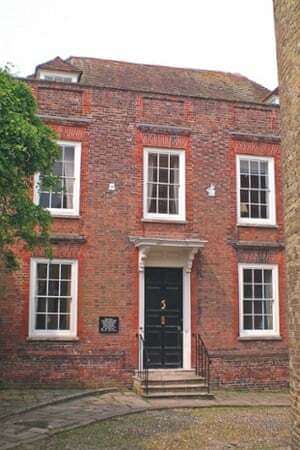 Henry James first saw Lamb House, situated in the picturesque East Sussex Cinque Port of Rye, in a watercolour belonging to an architect friend. Over subsequent summers, James could be found ‘casting sheep’s eyes at Lamb House’. In 1898 he discovered that the owner had died and Lamb House was available to rent. He wasted no time in purchasing the lease ‘on quite deliciously moderate terms’. 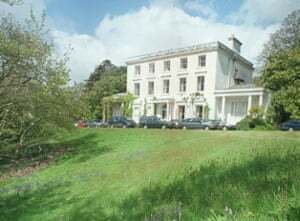 Lamb House later became the home of EF Benson, whose Mapp and Lucia was adapted for television by the BBC in 2014. 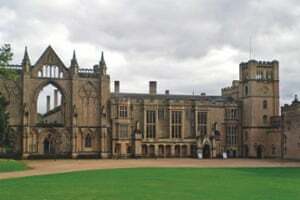 Overlooking lakes, gardens and 300 acres of parkland, Newstead Abbey was almost in ruins when Byron inherited the estate at the age of ten. In addition to hosting wild parties, he indulged in pistol practice in the Great Hall, boxed in the drawing room and allowed a tame bear and a wolf to roam the corridors. Continuously occupied for nearly 900 years, this is one of England’s oldest houses, with thick stone walls and Norman features. 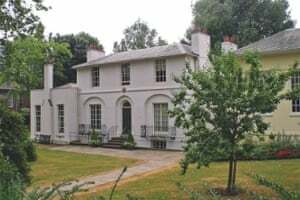 Just weeks before the outbreak of the second world war, the manor became the home of the writer Lucy M Boston who imagined the wonderful old house and its garden as the backdrop to herGreene Knowe stories for children, published between 1954 and 1961. 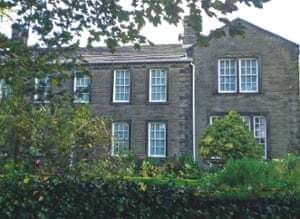 ‘Haworth expresses the Brontës; the Brontës express Haworth,’ wrote Virginia Woolf after a visit to the home of the three sisters, Charlotte, Emily and Anne. ‘They fit like a snail to its shell.’ One of the first things visitors see is the dining room, which was also a parlour where family members gathered and where the Brontë sisters fleshed out their novels, endlessly circling the table and reading extracts aloud to each other. Jane Eyre, Wuthering Heights and Agnes Grey were written here.